You can now define custom converters (using third-party software) to expand archives into folders or convert e.g. Microsoft Word, RTF or Adobe PDF documents to plain text files and compare them. You can also use converters to filter documents (remove/sort lines, replace parts of text, ...). Several examples are described in the Online Documentation. More info. You can now generate reports for both files and folders comparisons, with the graphical application, but also using the command line. 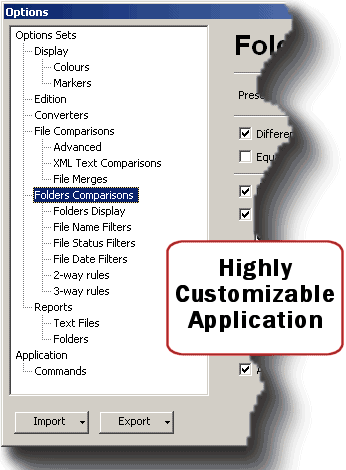 Folder Comparison Reports in XML and HTML can reference sub reports for text and binary files when generated as independant Patch, XML or HTML files. Sub reports can also be embedded in the folder report. Unix Patches can can be produced in the 3 typical Unix patch formats (Normal / Contextual / Unified Context). More info about Reports, generating Reports from the command line. Options Sets are named settings which you can reuse easily. 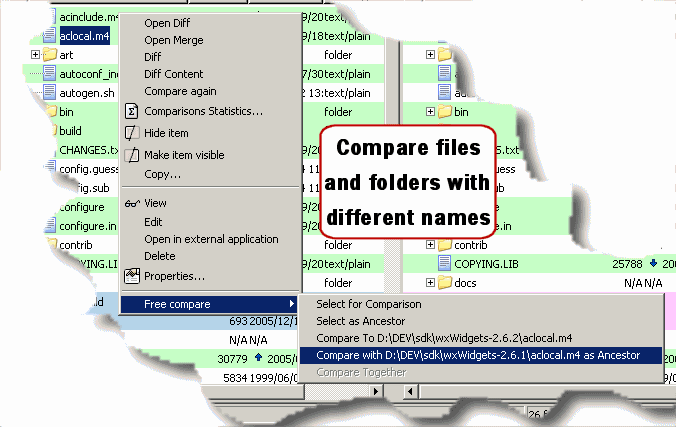 Define your Sets of Options and choose which one to use when opening a new Comparison. ECMerge already had filters by Name and Status, you can now filter the files by date. 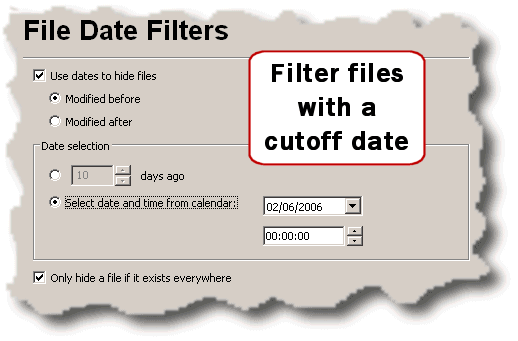 You can hide files modified before or after a given cutoff date. The cutoff date may be expressed as a fixed number of days relative to 12AM on the current system date, or as a specific date and time. The Filters by Status also have new variants: capability to hide files or folders present or missing in any of the hierarchies, capability to hide all folders that do not contain any visible files. ECMerge can now display a column with the number of differences between files and folders. The File date column can now contain an icon to highlight the newer/older file and/or the date text. The first column still displays the markers. 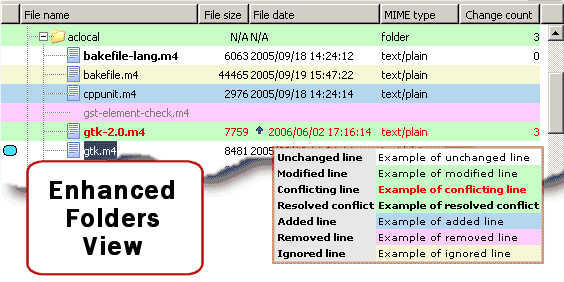 Files and folders that have been hidden (either because matching filters by name/date/status, or manually hidden by the operator) can be displayed, using the colour assigned to "ignored" items. All the display options are used in the Folder Comparisons Reports generation. Using the contextual menu, select the files or folders to compare, as you can do with the Shell Extension in Windows Explorer. You can select items individually, whichever the source folder they belong to, or you can select two or three files or folders in a given hierarchy and open the Comparison with one click (Compare Together). More info about the contextual menu in Folder Comparisons.